The seasonally adjusted rate of Queens home sales increased again in October and continued to increase when compared to year-ago levels, with October marking the 7th month of year-over-year increases. Median price declined month to month, which was expected given seasonal patterns; year-over-year, October marked only the 4th month this year of price decreases. This should have many potential Queens home sellers better positioned than they were this time last year and Queens home buyers should look to take advantage of the recent dip in mortgage rates thanks to a continuation of Federal Reserve policy. Next month’s report on November sales will likely reflect the transactional delays created by the government shutdown and the drop in consumer sentiment. However, with government workers back in their offices, the transaction process should return to normal. Interest rates have continued to dip after the Federal Reserve let the air out of the rate buildup we saw at the end of the summer. 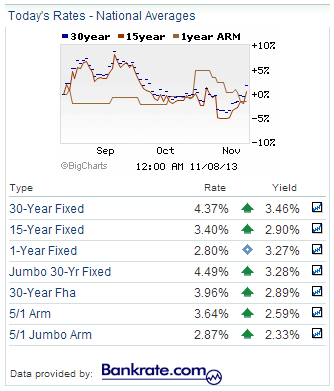 Currently, Freddie Mac reports rates at the following 30-year fixed-rate, 4.13%; 15 – year fixed-rate, 3.24%; 5/1- year adjustable rate, 3.00%. Existing home sales for Queens in October were at a seasonally adjusted annualized rate of 868 homes. This is an increase of 6.1% from last month, but more significantly, is an increase of 36.3% when compared to October of last year. The increase seen in October sales is partly due to the higher interest rates we witnessed in the buildup to the Federal Reserve meeting in September, and now that the Fed has made its intentions more clear, rates should be less of a headwind in the short term for the Queens housing market. The median existing home price dropped to $365,000 in October as the seasonal decline in price continued. While prices have decreased slightly this fall, Queens home sellers are still better positioned than they have been in recent years as we continue to post year-over-year price gains. Inventory levels continued to decrease at a modest pace through October, and the increase in buyer activity brought the months of supply down again to 7.7 months. 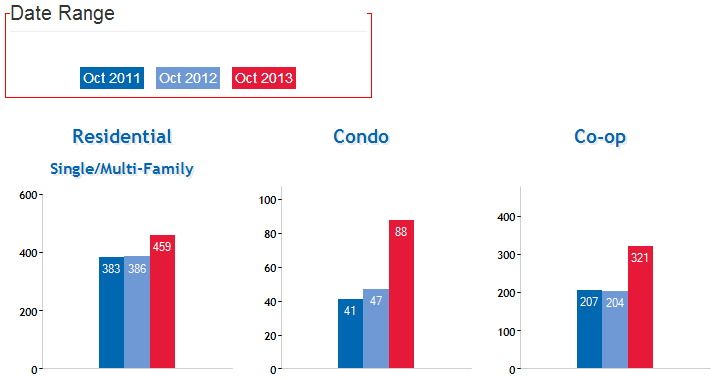 Inventory levels remain tight due to seasonality and slow builder activity in Queens. 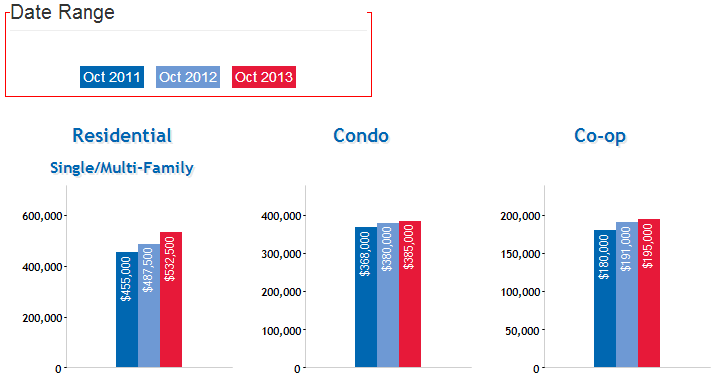 Currently there are 5,966 homes for sale in Queens, that’s 95 fewer homes than we had available in October. 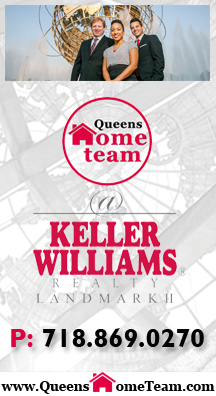 Courtesy of George Herrera w/the Queens Home Team @ Keller Williams Realty Landmark II.